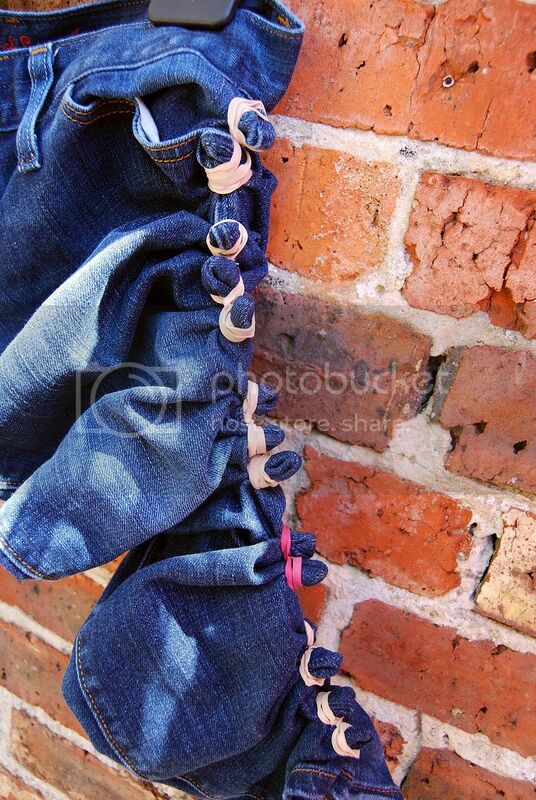 Tie the elastic bands around your denim. I wanted a pattern down the leg seams, so tried to space my bands fairly evenly down the seam, so it looked like this. 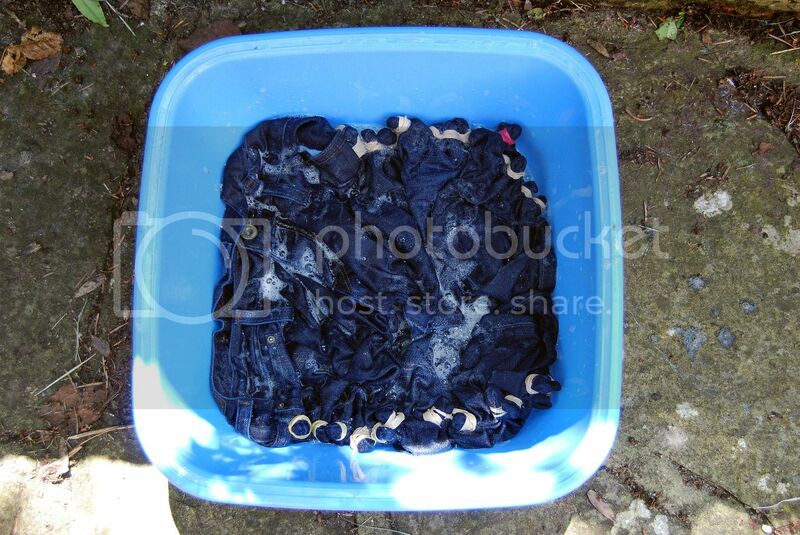 Put your denim into the tub, and cover it with a mix of 2 parts bleach to one part warm water. 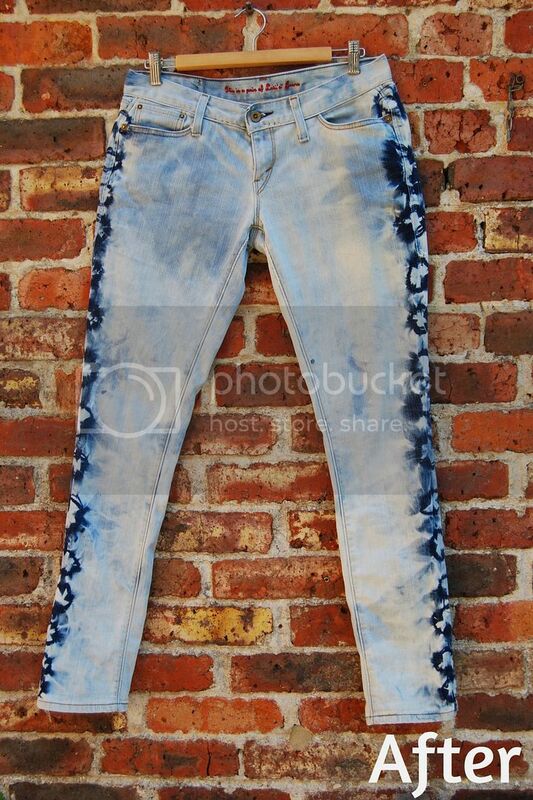 Make sure all of your denim is in contact with the bleach mix. Then just leave it! 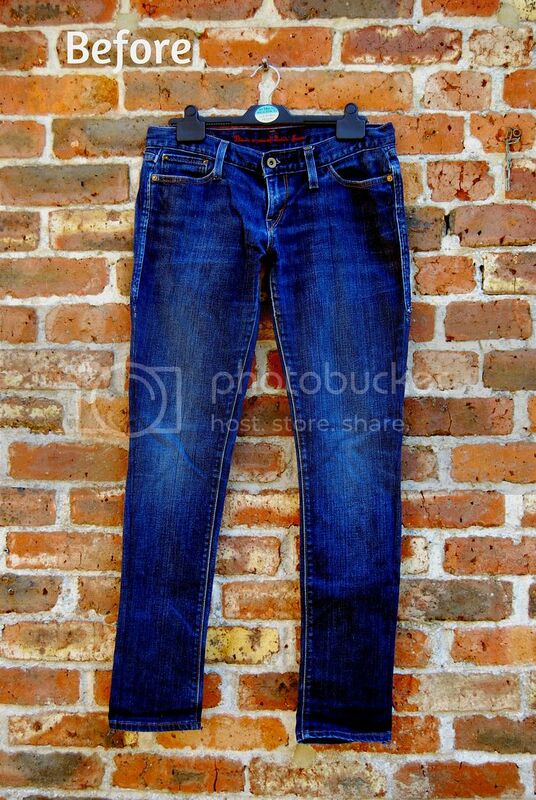 The longer you leave it, the lighter your denim will become. 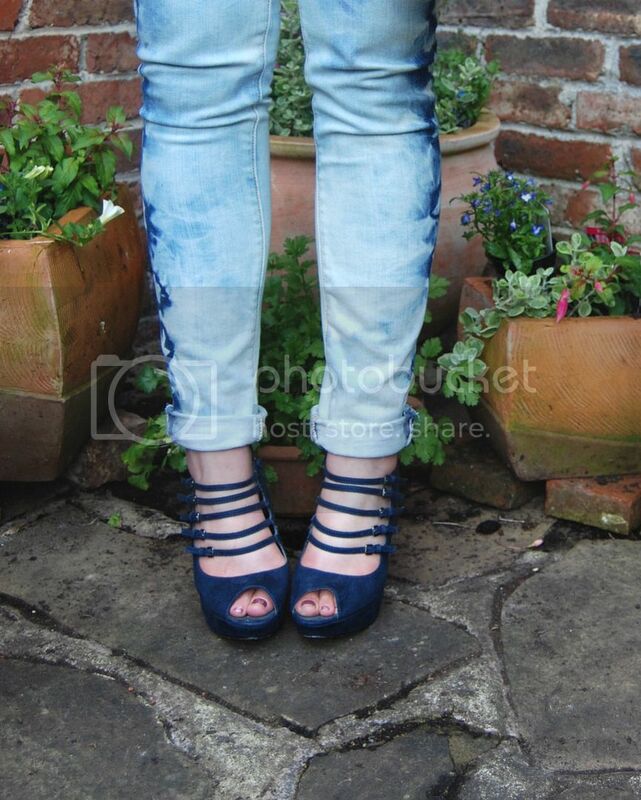 I left mine to soak for about 4 hours, but my denim was originally a very true blue so was going to take longer. For lighter washes, about 2 hours will probably be good. 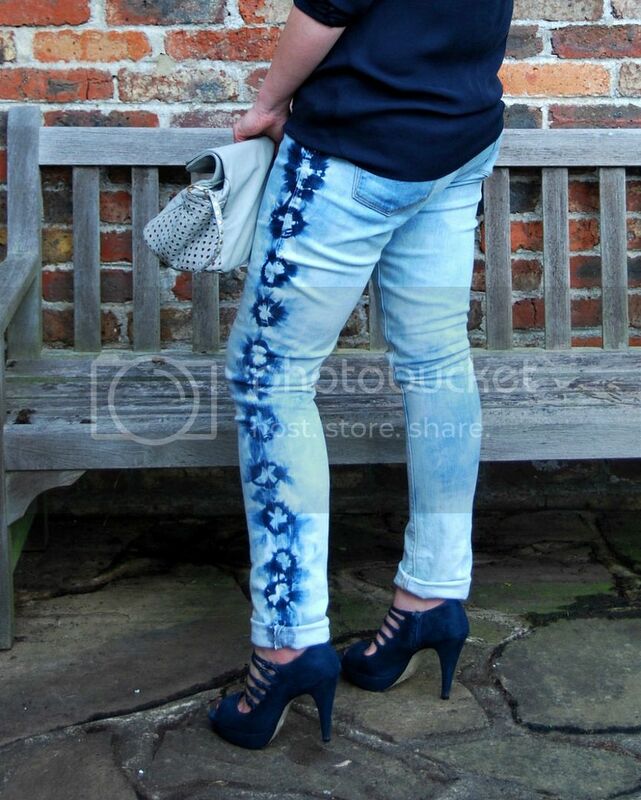 When your denim is the colour you want, pop it into the sink and rinse out with cold water. Then you’ll need to pop it in the machine to get the bleach smell out (this may take a few goes). the flatter you can lay your denim in the bleach mix, the more even the bleach will be- a bath would be great if your house doesn’t object! Remember to keep things well ventilated! Open a window, or if weather permits, do it outside. We wouldn’t want any woosyness! So, has this tempted you to go through your cleaning cupboards for a little bleaching action this weekend?